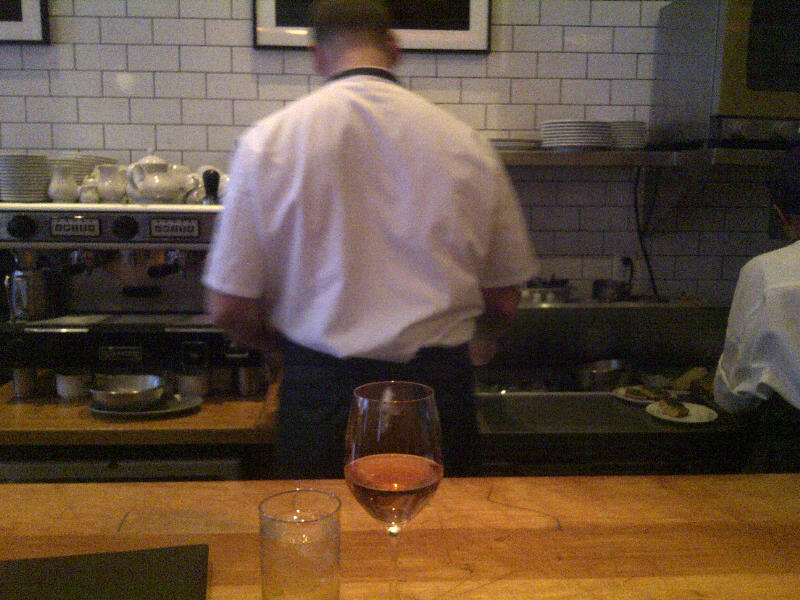 As usual, I was so into the dishes that I didn't remember to take a picture until it was all gone. Both were unbelieveable, ESPECIALLY the Ricotta Pancakes! These were so ah-mazing that I really encourage you all to go and give it a try. 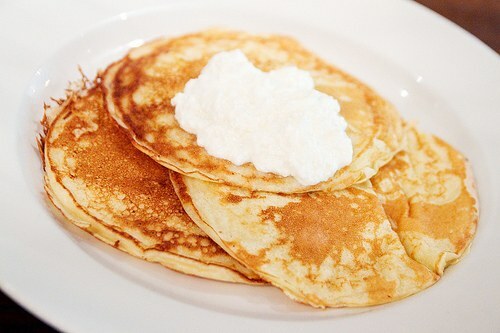 The pancakes were perfectly crispy on the outside but melt in your mouth fluffy and soft on the inside. The flavor was perfectly balances with the ricotta and syrup. 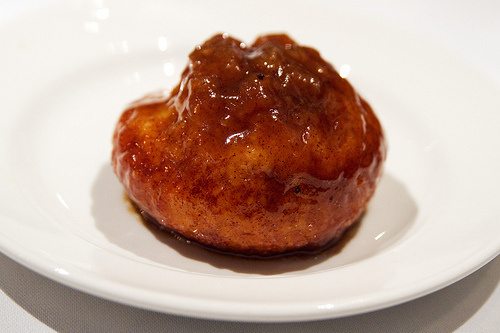 If you haven't made plans to stop by, definitely make that reservation and give these wonderful dishes a try! I already can't wait to go back next weekend!! Piggy was Yes (for the pancakes)! With Piggy KL vacationing in France for the last week, this Piggy KK is trying to cope with the envy loneliness by the usual: emotional eating. 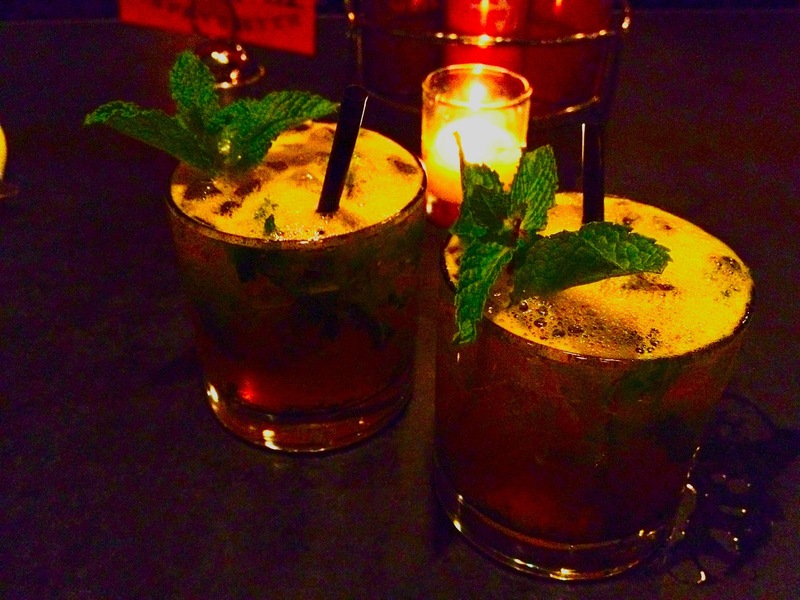 For this go 'round, I stopped by The Pan American in Nolita for cocktails and dinner. 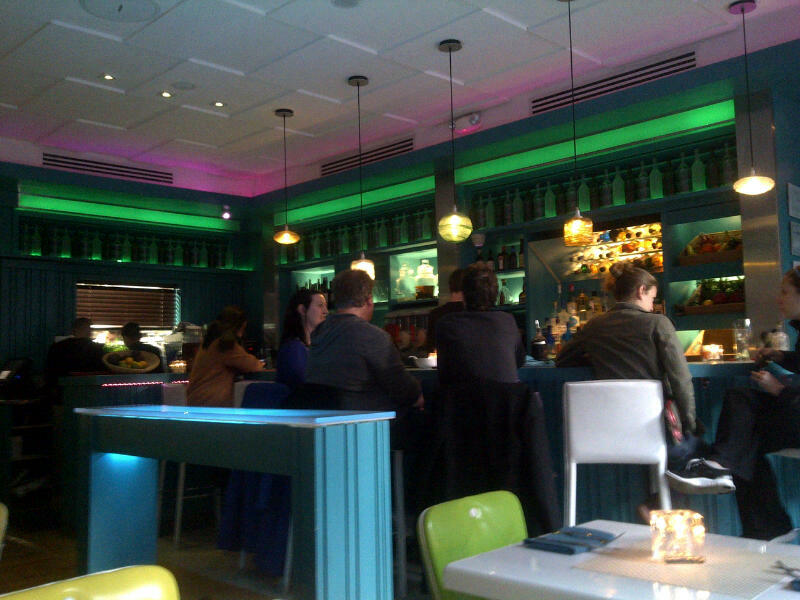 When you walk in, you're greeted with a very colorful, fun, and modern interior. Take a look! 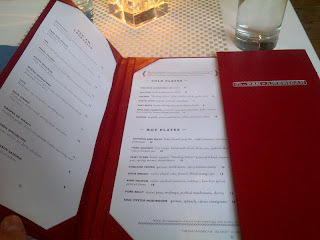 I loved the nice red menus - they open up! Sometimes its the little things that make my meals extra enjoyable. 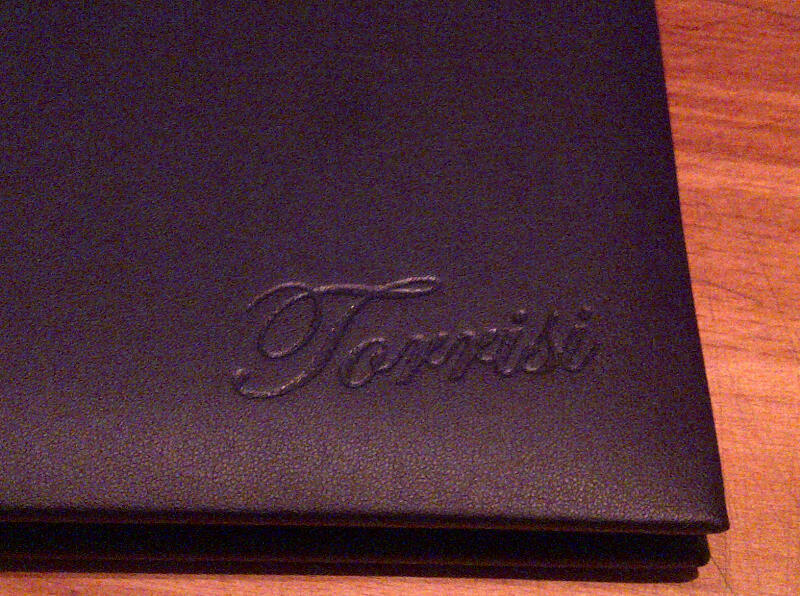 I'll admit it - I judge a restaurant by its cover. If I pass by and it looks totally cute, I'm pretty much interested in trying. Its not a guarantee that I'll like it, but it does get me in the door. 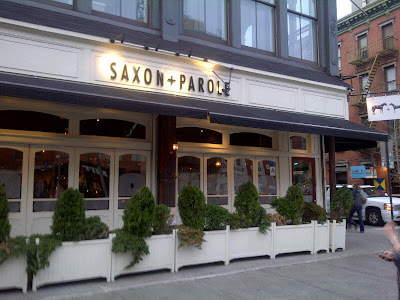 Walking home from SoHo one day, I passed by Saxon + Parole, sister restaurant to PUBLIC, and immediately put it on my list of "to-try's". When you walk into Saxon + Parole, it's just as cute on the inside as the outside! Think shabby chic French chateau meets farmhouse. There's a decent size bar area in the front which feeds into beautiful dining rooms. This post is a sad one for me to write. I actually loved the food at this restaurant and went back for a second go (within the week no less! ), but my experience was soon ruined by the manager himself. And I can no longer feel positive about a restaurant that treats their customers in this way. 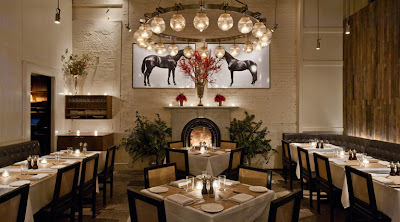 I don't usually feel this strongly against restaurants, so I urge you all to take a look at my post and understand why (I'll start my story from the top, but will put ** next to the meaty parts of my story for those wanting a quick read). 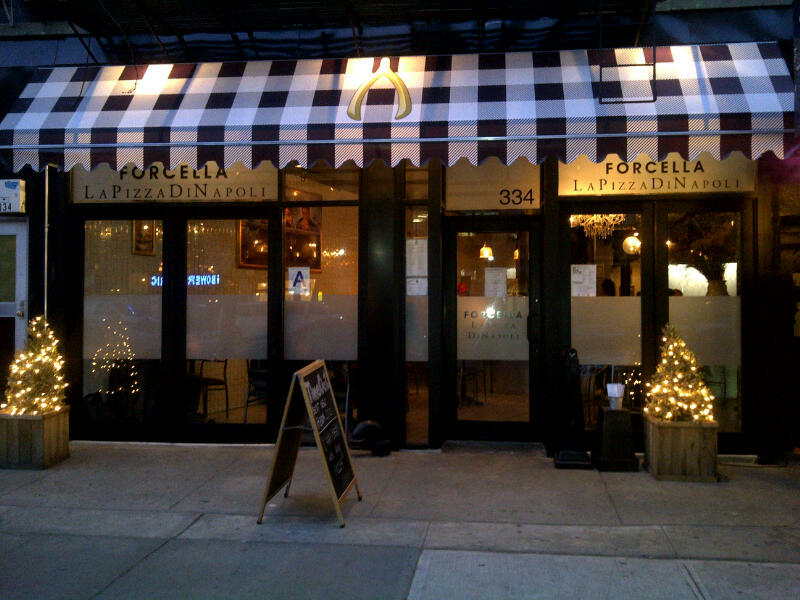 A Neapolitan pizza place originally located in Williamsburg, Forcella opened an outpost in NoHo on Bowery just last year. 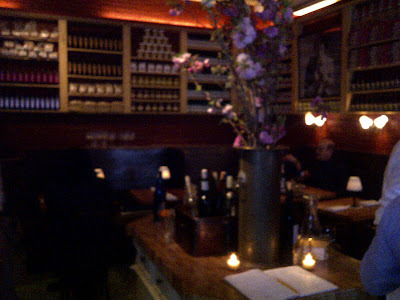 I was mixed after trying the Williamsburg location, but still wanted to stop by the new Bowery location for a taste. I wasn't disappointed and my eating compadre and I enjoyed our meal at the Bowery location. 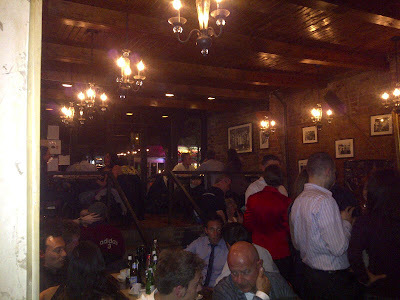 The space was nice on the inside with brick walls and chandeliers. 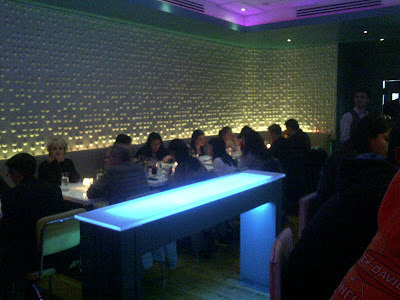 Loved the variety in terms of seating - tall bar tables up front and more regular tables in the back. My eating compadre and I choose to sit at the tall bar tables on both occasions. Thursdays...sooo close to the weekend which makes me too lazy to cook! Ok ok I'll take any excuse to eat out, but I'm always on the look-out for low key dinner spots for Thursdays. 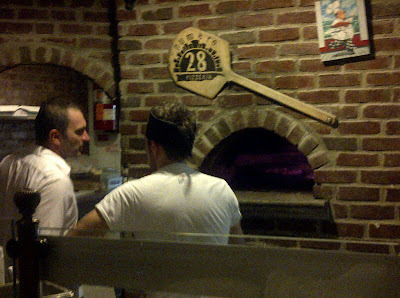 I recently scoped out Numero 28 Pizzeria Napoletana - they have a couple locations in the city including Soho and the West Village. 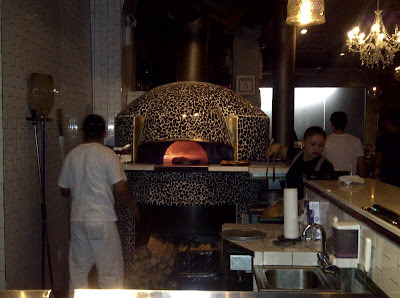 There's also one a couple blocks away from me in the East Village and it's just the spot for an easy dinner! They are cash only though so make sure stop by the ATM before heading to Numero 28. I love the atmosphere inside. Exposed brick walls lined with simple chandeliers perfectly complement the low hum of lively conversations by your fellow diners. The brick oven in the back just begs for you to order pizza! And I loved that the table next to us AND behind us ordered in Italian. That may not be a guaranteed experience for you should you decide to stop by, but it def made me feel like I was back in Europe! 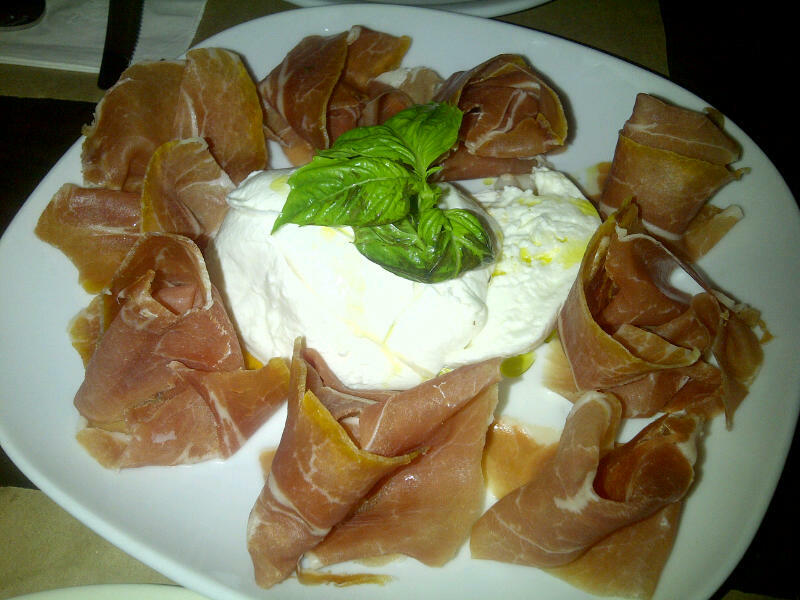 To start off our dinner, my dining compadre and I shared the Prosciutto and Fresh Mozzarella. This was a pretty large portion - look how much came with the order! The prosciutto was on the thicker side so not really a favorite of mine, but my dining compadre enjoyed it. The mozzarella tasted great though and paired well with the prosciutto. One of NYC’s local pitmasters, Kenny Callaghan from Blue Smoke, represents every year. While I love Fette Sau, and Hill Country BBQ is pretty solid too, Blue Smoke ranks as my #1 favorite spot for several reasons: they’re consistent, they take reservations (so no waiting for 1 hour+ for a table! ), and aside from the delicious ribs, the sides are a sure hit. 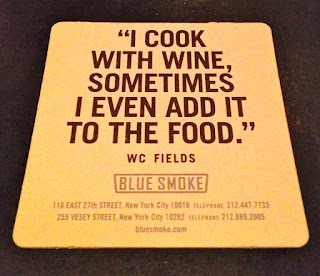 I’ve been going to Blue Smoke for years and love that every time, the food and service are great. They also have a full bar and whip up some great cocktails, including Mint Juleps! 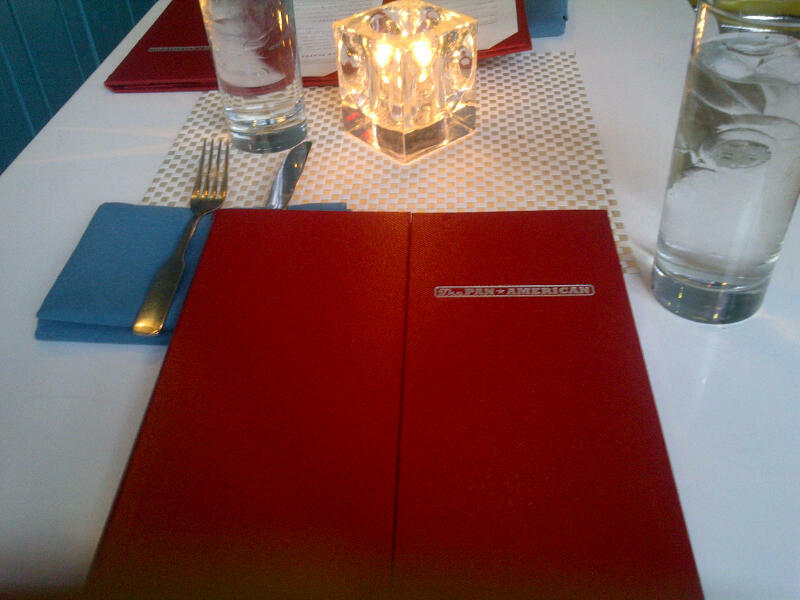 Be sure to make reservations ahead of time on Opentable.com, otherwise you may be in for a long wait! My favorite appetizer to get is the Chipotle Chicken Wings with Blue Cheese Dip. The flavor and juiciness to these wings is amazing, you won’t be able to stop! 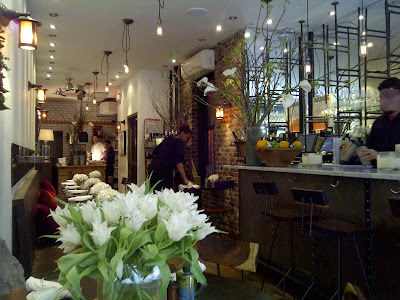 Just this past weekend, I happened to be in SoHo / Nolita for dinner with a friend (post to come soon on my dinner at The Pan American!) and we decided to stop by Rice to Riches for a little dessert. 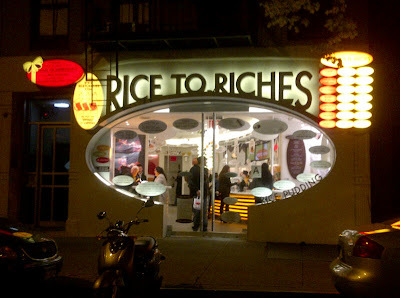 Turns out my friend, who also went to NYU with me, had never been to Rice to Riches before although she had heard of it. So it made me think...have you been before? I know I know...Rice to Riches is an oldie and has been around for a while now. But have you been?? Last year, I thought I was the only one who had never tried and so I secretly took the subway to Spring Street and bought myself a rice pudding from Rice to Riches. After the events of last weekend, there must be more Rice to Riches newbies out there! While I'm not really a big rice pudding fan, there is something about Rice to Riches that I enjoy. Maybe it's the fun atmosphere. Maybe it's the fancy containers and spoons that come with your order. Whatever it is, I keep coming back for more! Looking bright and totally out of place on Spring St, Rice to Riches just calls your attention - especially if its at night. 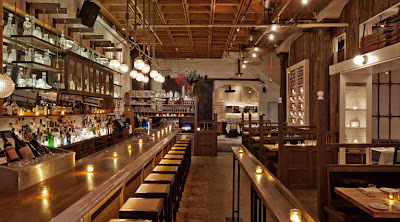 A few months ago, I wrote about my second favorite izakaya spot in Midtown, Donburiya. Today I'll finally share with you which restaurant takes the #1 place! Sandwiched among other small restaurants and bars on East 52nd Street, it's really easy to miss Ariyoshi. You've got to go up a few steps to enter through a wooden side door. 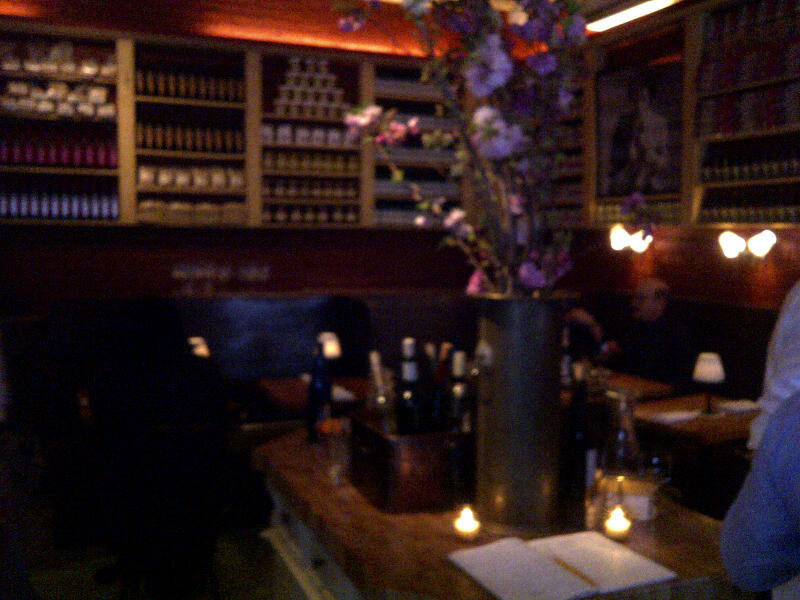 Inside, it's a tiny little place with wood tables, chairs and benches. It looks very unassuming, but the food is amazing and traditional Japanese, and the prices are reasonable. There is a very loyal lunch following, so on some weekdays you can find yourself waiting 10+ minutes for a table during lunch hour. In addition to their regular menu, they have a lunch set menu which is pretty popular - you get a lot of food! It's not as busy at dinner time, but I've noticed that the service is significantly slower and the food takes a lot longer to come out. There is usually a steady light stream of people throughout the night though, as they are open until very late at night. You'll probably notice more mugs of beer and sake carafes as the hours tick on. Try out some of the Japanese snacks and join the fun! Hubby JL is pretty easy to please - good food, good wine, good bourbon, and he's a happy man. 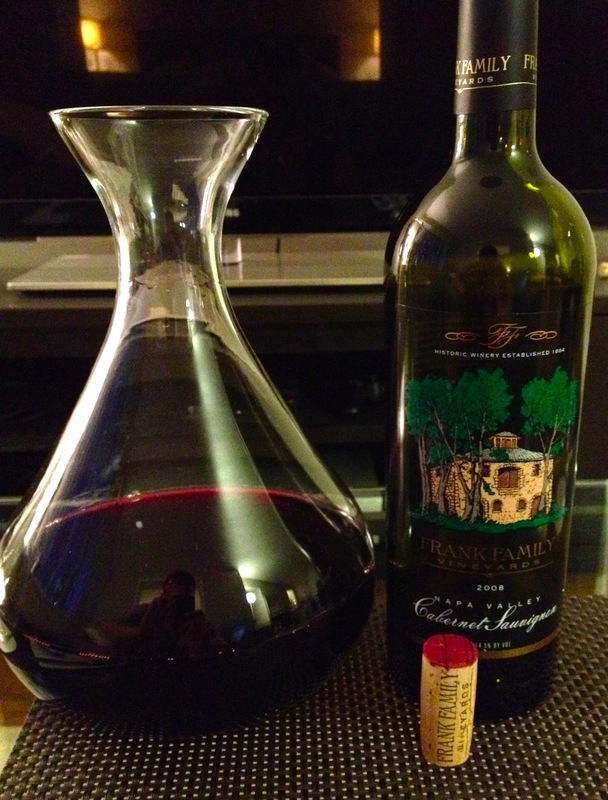 We have 10 bottles of really really nice red wine that we collected along our trip to Napa Valley last year. They have stayed safely nestled in our wine fridge, waiting for special occasions to break them open for. Well, unfortunately there weren't many blockbuster events this year to commemorate, so there they have stayed. I definitely wanted to open a bottle for hubby JL's birthday, and figured a nice, juicy, rib eye steak would make a perfect pairing for the Frank Family Vineyards 2008 Cabernet Sauvignon.